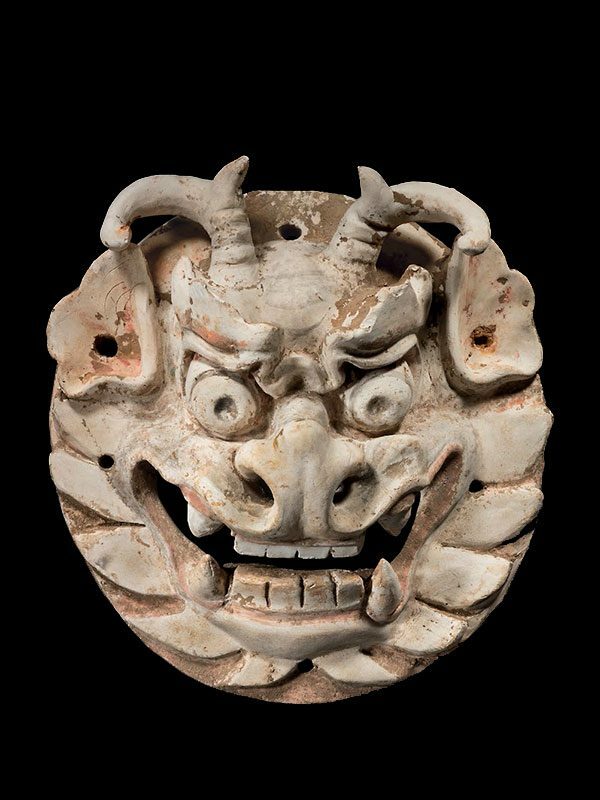 A pottery mask of a monster, the rounded face moulded in high relief with fierce features. The monster has large bulging eyes and pronounced eyebrows over a wide mouth, half opened to reveal its sharp teeth. Its large nose is upturned and two antler-shaped horns protrude from the top of its head. The big ears and the mane are spread around the face. The mask has several holes for attachment. There are some traces of red and black pigments on the surface of the pottery, which further emphasize the ferocious features.